Open letter to the Australian Department of Foreign Affairs and Trade, Australian Centre for International Agricultural Research and aid agencies. Inaction on climate change has exacerbated natural disasters in the Pacific, with more frequent and severe cyclones and droughts affecting Small Pacific Island Countries, and rising saline water tables in many places. Australian aid to these countries must help the people affected and not magnify the impacts of natural disasters . In 2015 after cyclone PAM hit Vanuatu, hybrid, imported seeds were distributed to local farmers, six months later insects devastated the crops. From being chemical free, Tanna province has now becoming pesticide dependent. The ill-adapted seed imports created a demand for chemicals, the start of a familiar treadmill that leads to increased pesticide use, increased pest resistance and damage to the soil and water . More recently in February this year, cyclone WINSTON devastated Fiji archipelago. The Fijian agriculture ministry recently said the cyclone has completely destroyed crops across the island. International and Australian Aid have started to converge in ways that may have negative consequences for recipient communities . In this context, we ask the Australian government and associated aid agencies to: Provide only seeds and assistance that guarantee the continued availability of farmer saved cultivars, landraces and wild germplasm; Establish seed banks that are solely for public use and cannot be commercialised; Support the development of agro-ecological systems for farming and seed production, and guaranty the preservation of heritage crops and traditional agriculture of the Pacific. The resilience and security of our global food system depends on biodiversity. All seed breeding requires germplasm sourced from cultivars, landraces, heirloom varieties and wild plants. Farmer ownership and control of seed has been limited over the past 80 years by the introduction of hybrids, the creation of the UPOV system and the granting of patents and plant breeders rights over living organisms. Since the 1970’s seed breeding and ownership has been transformed from publicly funded plant breeders and thousands of small seed companies to being controlled by a handful of global corporations. Just three companies own and control 53% of the world’s commercial seed supply – Monsanto is the biggest owning 27% . The emphasis has been on growing uniform, high-yielding varieties this has meant the loss of 75% of genetic diversity in cultivated plants since 1900. These hybrid seeds depend for their performance on unsustainable levels of oil and phosphate-based inputs but these non-renewable resources will soon be too expensive and scarce to be economic for agricultural purposes . The conditions for catastrophic collapse of the industrial food system results from this narrowing of the gene pool and increases the frequency and intensity of shocks to agricultural systems due to climate change . The damage to world seed stocks has been accelerated in the past 25 years by the creation of genetically manipulated (GM) seeds, and the concentrated ownership and control of commercial seed. To avoid a global food tragedy the conservation of a diverse seed base, in public hands, is essential. The Australian Centre for International Agricultural Research (ACIAR) supports GM crop development which threatens the integrity of indigenous agriculture. GM corporations offering free or discounted GM and hybrid seed after disasters also undermines local agriculture e.g. in Timor-Leste . As Australia is not a Party to the Cartagena Protocol on Biosafety, its governments and regulators have scant commitment to the safe international transfer, handling and use of GMOs. GM seeds and hybrids dependent on costly inputs must not be used as a Trojan Horse to infiltrate industrial agriculture into vulnerable and unsuitable locations. For instance, ACIAR’s Seeds of Life project in East Timor is concerned with the introduction of fertilizers and sprays and the commercialisation of seed . Farmers now pay US$1.50 for a kilo of seed that was previously saved and was free. In India the introduction of the seed market has led to indebted farmers who are unable to use their traditional seed, falling prey to moneylenders leading to unpayable debts and suicide. Seed breeding and innovation are important but the Green Revolution replaced locally saved seed with seed dependent on increased fertiliser and pesticide inputs. Now the Punjab has infertile soils and a ‘cancer train’ taking people for treatment when they are made ill by agrichemicals . None of the Pacific Island Countries have regulations for Living Modified Organisms (LMOs) despite their ratification of the Cartagena Protocol. 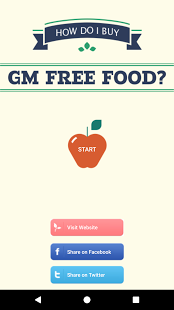 Introducing GM crops into those countries through aid and humanitarian programs would be contrary to the protection provided by the Protocol and a serious breach of their rights. Monsanto has already tried to introduce their GM aid elsewhere, for instance to Haïti just after the earthquake in 2010. At that time, the National Peasant Movement (MPNKP), called the entry of Monsanto seeds into Haiti "a very strong attack on small agriculture, on farmers, on biodiversity, on Creole seeds ..., and on what is left of our environment in Haiti." It shows that unethical aid can turn the disaster it is supposed to relieve into catastrophe . The disruption from climate disasters creates openings for industrial seed that may be GM or hybrid, prohibited or useless to save for replanting. These are often treated with neonicotinoid and other systemic pesticides, are experimental or expired, with negative impacts on bees and poor yields. Seed corporations and research institutes skirt the issues by using promotional terms to sell their “improved”, “biofortified” or “climate adapted” seeds. They do not exercise appropriate institutional caution or accept responsibility, as in the case of the discredited “Global Alliance for Climate Smart Agriculture” that provides false solutions    . Emergency aid or rural development programs must prioritise food sovereignty, safety and security and apply the Precautionary Principle to evaluations of the long-term effects of their strategies . Aid must support seed sovereignty and farmers’ rights, not undermine them.